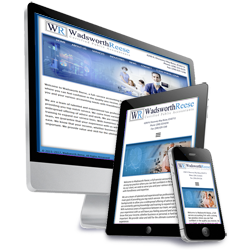 Project Scope: Wadsworth Reese is a full-service accounting firm with a strong tax practice where you can feel confident in the quality you receive. As our client, we seek to serve you and your various accounting needs with friendliness and expertise. With a team of talented and experienced tax professionals providing their clients top notch service. With a variety of backgrounds allows their clients a widespread offering of advice and work.